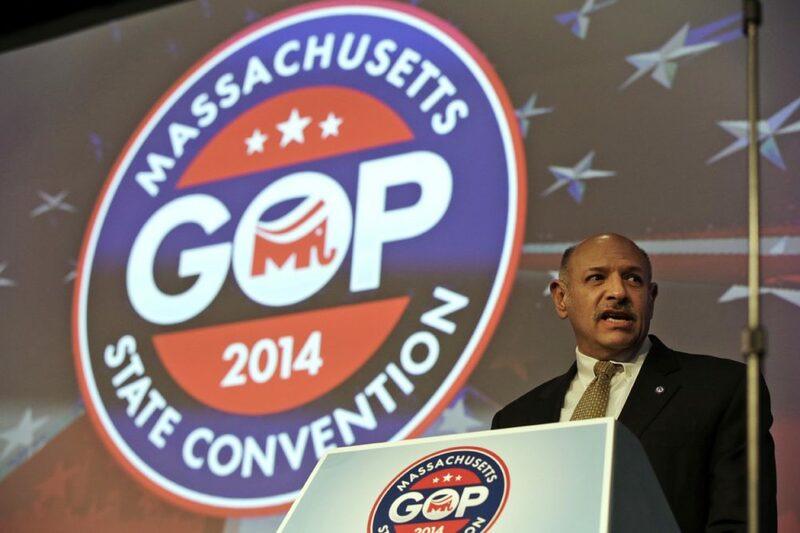 The Massachusetts Republican Party has agreed to pay former GOP gubernatorial candidate Mark Fisher $240,000 to settle a lawsuit stemming from the party's nominating convention last year. Party officials initially ruled that Fisher, a tea party member, fell just short of the 15 percent support required to continue on to the September primary ballot. The GOP eventually agreed to certify Fisher, setting the stage for a primary contest with fellow Republican Charlie Baker, who won the nomination and was elected governor. MassGOP Executive Director Brian Wynne said in a statement Thursday that despite the settlement, the party maintains that the accusations in the lawsuit are false. He said mounting legal costs forced the party to settle.